The Griffons sit just four points out of first place after their victory. Photo Audrey Magny. The Griffons took home a 1-0 victory against the PLSQ’s newest expansion team. Photo Audrey Magny. 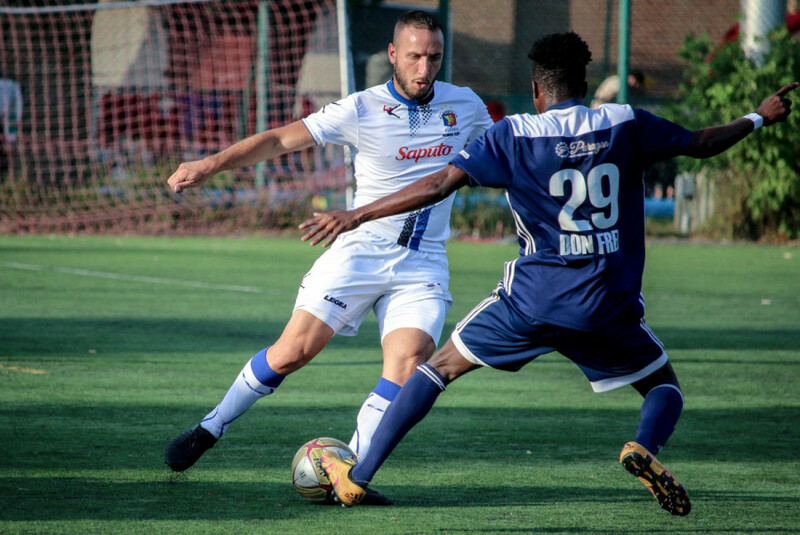 An early first-half goal by forward Ritch-Andy Jean-Pierre was enough for Club de Soccer Mont-Royal Outremont Griffons to earn three points. Club de Soccer Fabrose turned up the pressure in the second half, but CS MRO prevented the visitors from finding a late goal. 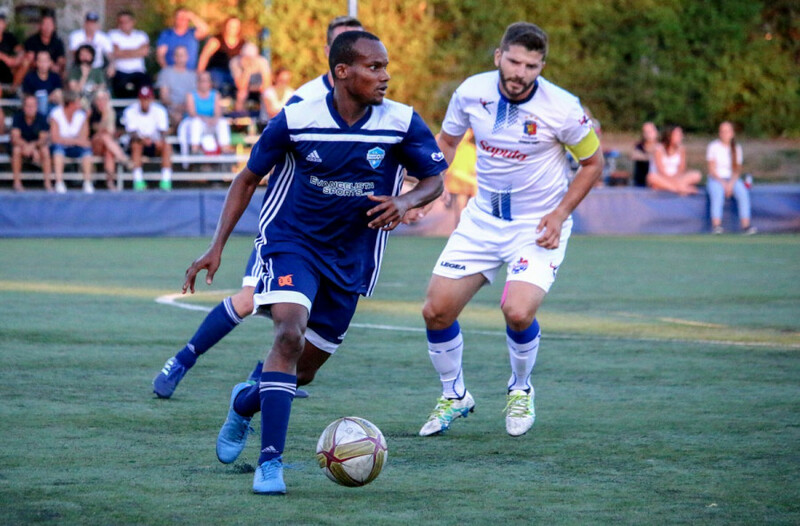 Fabrose—the Première Ligue de soccer du Québec new expansion team—proved to be a difficult side for the Griffons on Sunday night. CS MRO may have come away with the win, but the visitors showed their quality, putting the Griffons under some difficulty on both ends of the field throughout the match. After the match, Griffons head coach Luc Brutus noted that his side continued to have some defensive issues. Earlier in the season the Griffons were a team liable to let in late goals the Fabrose looked to exploit the Griffons defensive mishaps leaving the home side scrambling. “Fabrose is improving game after game and it’s positive for the league,” he continued. After Association de Soccer de Blainville dropped points on Saturday, losing their first game of the season to Dynamo de Québec, the Griffons have cut the lead for first place to just four points. The Griffons will host third-place Gatineau next Sunday at 6:30 PM.